SJ Suryah is a busy man these days. His performance in Iraivi might have given a new dimension to his acting career. As he is waiting for the release of his horror film Nenjam Marappathillai, SJ Suryah is also shuttling between two big projects, Vijay 61 and the untitled AR Murugadoss-Mahesh Babu film. As the lead in Nenjam Marappathillai, a character role in Vijay 61 and as the antagonist in ARM’s film, SJ Suryah for sure gets to play some unique roles and it is nice to see an actor who does not restrict himself to be just a hero. SJ Suryah is currently busy with Vijay 61 and will be shooting for the film in Chennai for the same till the 20th of March. He will soon be shifting base to ARM’s project on the 21st for a small schedule. 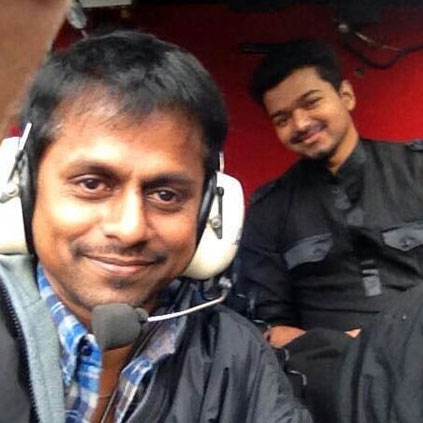 Just In: Official word on the first look of AR Murugadoss’ next! Is Moondru Mugam The Title Of Vijay 61? People looking for online information on AR Murugadoss, Sj suryah, Vijay 61 will find this news story useful.